One of the best things about the Internet is how easy it makes accessing materials like an animal encyclopedia online. Animal encyclopedias are a great resource to not only learn more about the animal of your choice but to answer other similar questions. For example, you can often find out about an animal's habitat using these encyclopedias, which can help you find out more about a given location. Learning about animals can also be great fun for those with an interest in how other species live, eat, or hunt. What Is An Animal Encyclopedia? While learning about things like animals can be a lot of fun, it is much easier to figure out what an animal encyclopedia is before you try to use one. Why? The format of many encyclopedias may differ from what you are used to from other sites. As a result, it can be quite confusing for some users when they first encounter one. However, don't let that get you worried. An animal encyclopedia is simply a book of information presented in a certain fashion. You have likely used a modern version of the encyclopedia called Wikipedia before. Many encyclopedias differ from Wikipedia in the sense that they do not let the everyday user edit them and present information in a more formal format. If you're looking for an animal encyclopedia online that you can reference or just want to learn a little bit more about some of the animals out there, don't worry; there are numerous resources out there to help you out. Wild Animals Online: Wild Animals Online is a great animal encyclopedia that is neatly organized to make it easy to find information. The six initial groups of animals are insects, fish, amphibians, reptiles, birds and mammals. One of the nicer features of the site is that it gives a great overview of the animals within each of the six sections. When you click to go to a specific animal, it will just give you basic information as well as a photo. The site keeps things simple and useful. Animal Diversity Web: Put together by the team at the University of Michigan Museum of Zoology, you can browse through this site by the different kingdoms of animalia. While that might sound a bit confusing, the term is a scientific separation for animal groups. Much like other sites, things are kept simple and you don't have to wade through numerous different species just to get an overview. You can, however, click for a member chart that lays things out in a clear and scientific fashion. DK Find Out! Animals and Nature: While this site can be a bit confusing at first, it actually functions much in the same way as a traditional encyclopedia. You can search for a term from the home page. However, you can also browse through different topics and common questions related to a topic. For example, you can view birds of different beak sizes from the birds page. New World Encyclopedia: Based off of general Wikipedia formatting, the site is a bit more familiar for many. In order to find information about individual animals, you must scroll down a bit to a giant listing of many of the most commonly searched animals out there like the blue whale, the grouse and ferrets. 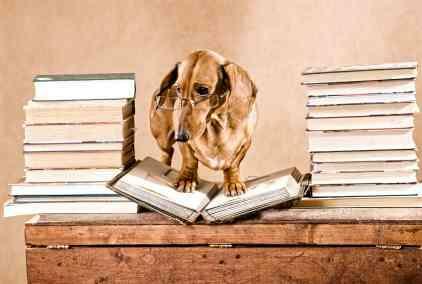 Users looking to get all of the information they can about animals that don't have an interest in flipping through old books will find the online resources out there a great asset. Whether you need information for a school project, are looking to just get more information on animals or need to know something about an animal at the zoo, the numerous online encyclopedias out there will help greatly!